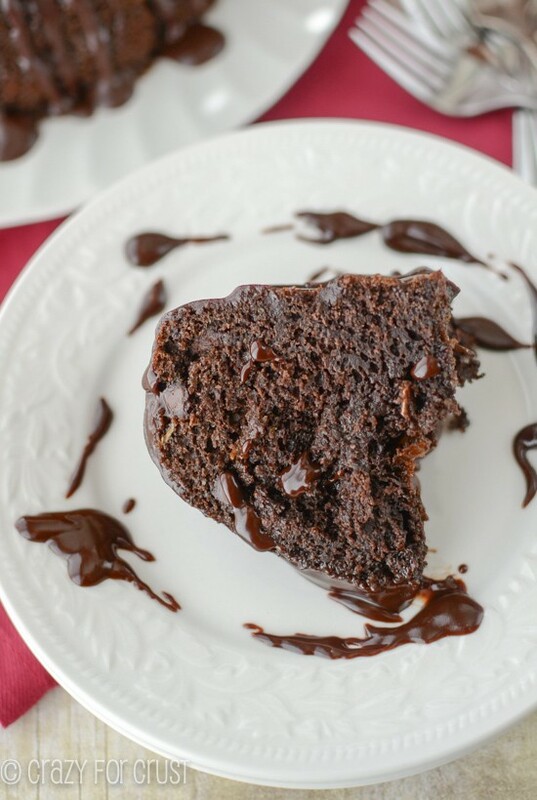 This Triple Chocolate Bundt Cake is one of the most rich, decadent chocolate cakes I’ve ever had, and it’s got a healthy secret! This past Saturday, Mel and I saw Jobs, the movie based on Steve Jobs’ life. I was skeptical because as much as I love Ashton Kutcher…I could not see him in that role. But it was a fantastic movie, and it really made me think. The first scene in the movie is of Steve Jobs announcing the super-secret iPod in one of his signature reveal videos. He talks about making something that is going to revolutionize music, and pulls the iPod out of his pocket. It was 2001. 12 years ago. First, that made me feel old. Then, it made me think. In 2001 the iPod was invented. It was promised to “revolutionize the way we listened to music” but it revolutionized way more than that. It changed the way we all live our lives. Think about it. The iPod was followed by the iPod Touch. Apps were born. Then the iPhone. And, I don’t know about you, but the iPhone literally changed my life. It opened up this whole new techie world. It allows me to share things with people – instantly. It’s also caused an addiction to social media and the feeling that one can never be unplugged, but whatever. Long car rides? No longer boring. We have the iPad for that. Waiting for food at a restaurant? No worries. Here kid, play Angry Birds on my phone. Need to practice math facts? No problem – there are 1,321 apps for that. And it all started with a single little music playing device, the iPod. Revolutionary, right? Kind of like this cake. This cake is revolutionary. I made a triple chocolate bundt cake that’s so chocolatey you want to cry, and it’s made without oil or butter. I’ll give you three guesses to figure out what I made this cake with, and the first two don’t count. Ready? Go. And yes, you’d be right. I made this cake with avocado. Just like I made these bars, this bread, and these truffles. No oil. Less or no butter. Avocado works as an amazing substitute. And because avocados are full of healthy fats, the fat in the cake is healthier. And yes, you could make this cake even healthier by leaving out the chocolate chips. Or leaving off the ganache frosting. But you really shouldn’t do that, especially not the ganache frosting. You should pour it over the cake, and then drink the rest. Thanks to my friend Ashton, I’m no longer afraid of ganache. She made it look so easy to make, and it is. Normal ganache uses heavy cream and chocolate. Did you know you can also use coffee creamer to make ganache? Yes, you can. And the beauty is, the ganache will adjust it’s flavor to whatever flavor creamer you use. Like mint? Use mint creamer. Like coconut? 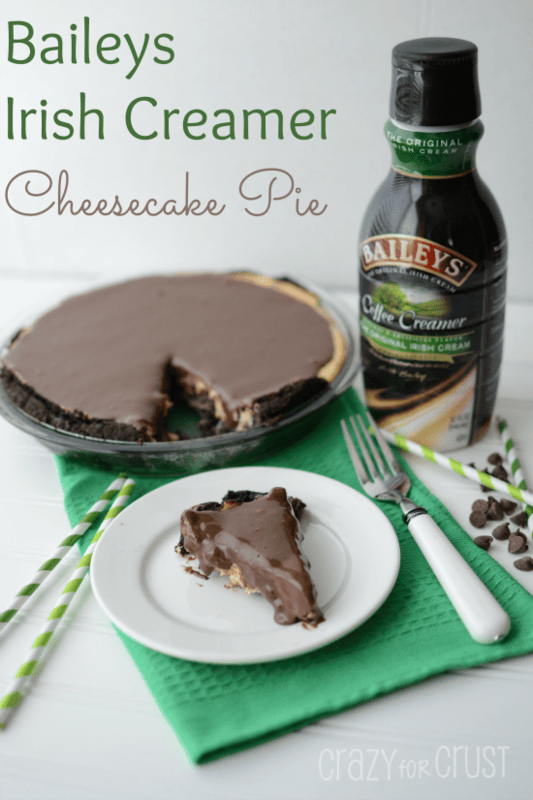 Use almond joy creamer. Like vanilla? Use vanilla creamer. I used International Delight Heath Coffee Creamer because I love toffee. This ganache tastes like toffee. I *may* have eaten lots of it with just a spoon. The point I’m making is that you should use whatever flavor you like. I’m kind of mad that it’s not my birthday this week. Because now that I’ve had this cake, it’s the one I want for my birthday, but it’s already gone. And you know how I have issues re-making things. Unless it’s peanut butter. This cake is birthday worthy. It’s party worthy and Christmas worthy. It’s my favorite cake ever, I think. And it’s made with avocados. Please, don’t be afraid of avocados. You can’t taste them in this cake. They just are the fat stand in. And if you MUST, if it creeps you out so much to use avocados, just use oil. But it will be healthier if you use avocado, and you can check out Avocados from Mexico for the proof. Then you can justify two slices. And you’re going to want two slices, I guarantee that. Like I said, revolutionary. Like the iPod, only it tastes better. 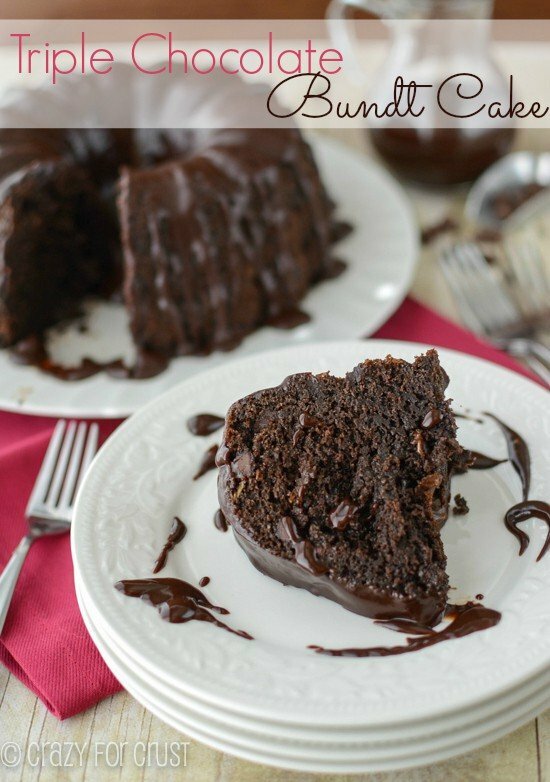 Easy Triple Chocolate Bundt Cake - this cake is easy and has triple the chocolate flavor, plus a secret ingredient! Preheat oven to 350 degrees. Spray a 12-cup bundt pan with cooking spray that has flour in it, or grease and flour the pan. Add avocado to a large bowl. Beat it with a hand mixer on medium speed until the large chunks are broken up. Add cake mix, eggs, and milk and beat at medium speed until smooth (some lumps remain), about 2 minutes. Stir in chocolate chips. Cool cake completely before removing from pan. 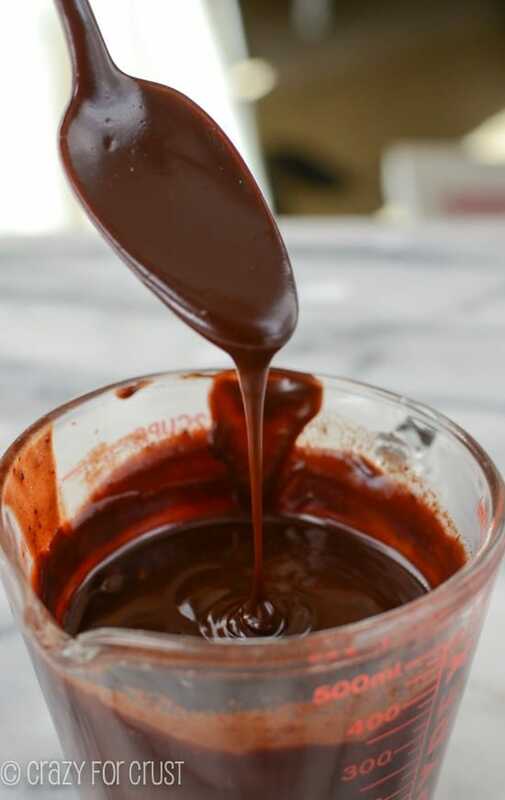 To make the ganache, add creamer and chocolate chips to a microwaveable measuring cup or small bowl. Heat for about 1 minute. Whisk until all the chocolate is dissolved and the mixture is smooth. Let cool to thicken. Mine took about 2 hours to get to pouring but not runny consistency, the first hour was spent in the refrigerator, the second on the counter. When ready to frost, turn cake out onto serving plate. 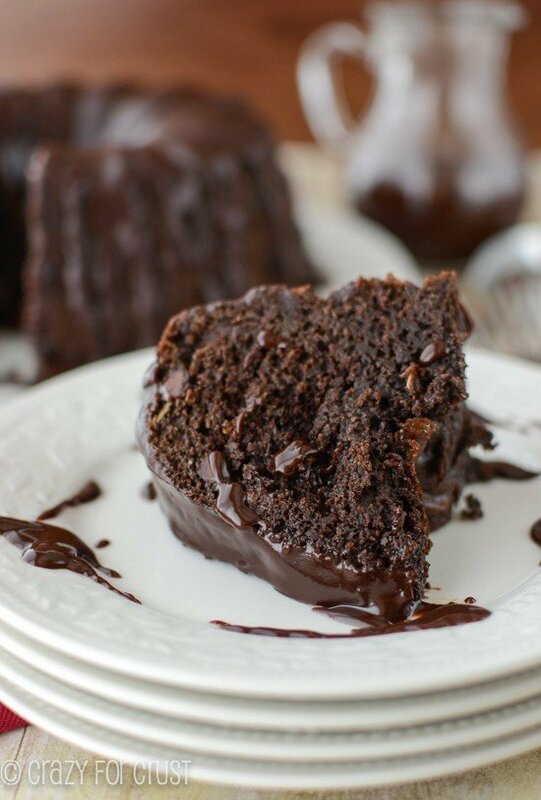 Carefully drizzle ganache over cake. Place in refrigerator to set the ganache. Slice and serve! This looks amazing! I love the healthy fats! Thank for share. wonderfulllll !!! Thank you! I love this cake. I love everything relating to chocolate, I love chocolate like crazy and your post make me heart feel like broken. This is so awesome. 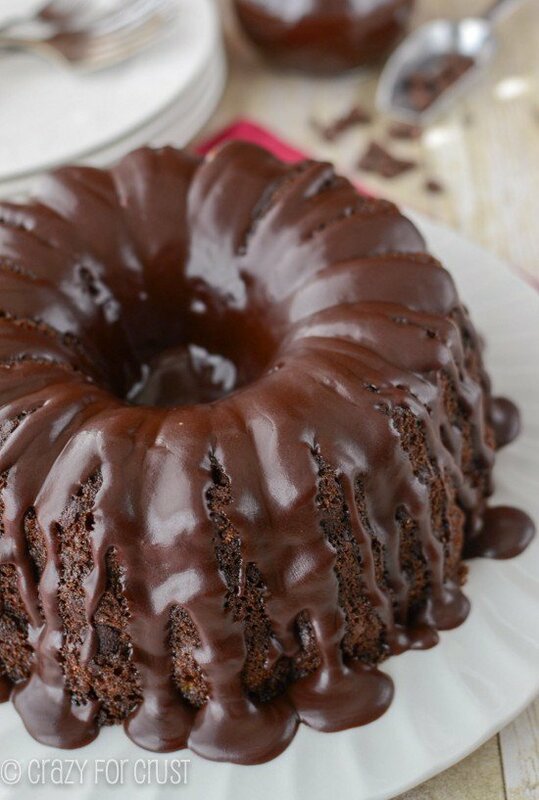 This chocolate cake looks very sweet and delicious. You made it, Dorothy ! Thank for share this awesome post. 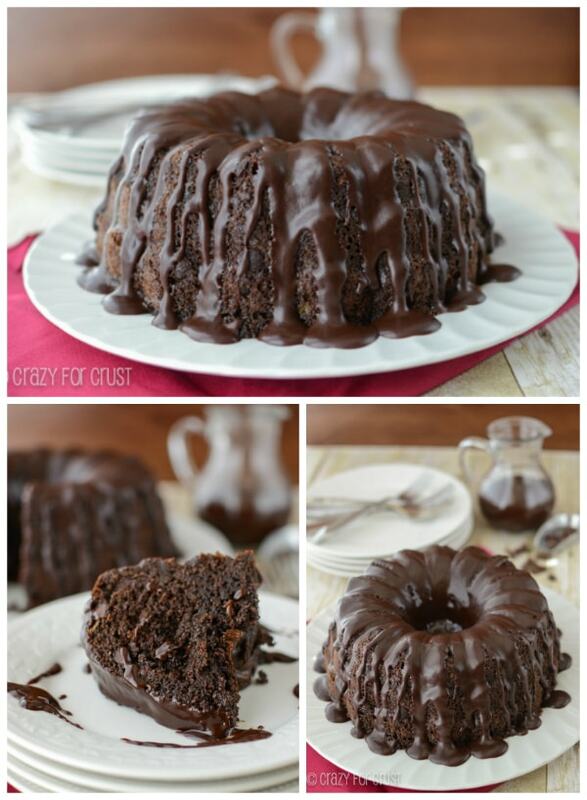 What an incredible chocolatey cake! I made it yesterday and was a little concerned that the batter seemed lighter than I expected. Also, lately, I’ve been replacing hot coffee for water in chocolate recipes but since there is no water in this…and I didn’t want to substitute coffee for milk, I didn’t add it. The cake looked beautiful when I took it out of the pan. I made the ganache…just chocolate this time but next time I’m trying peppermint flavored creamer, frosted the cake (o.k, I drizzled it over the cake between my tasting it) and it looked beautiful! 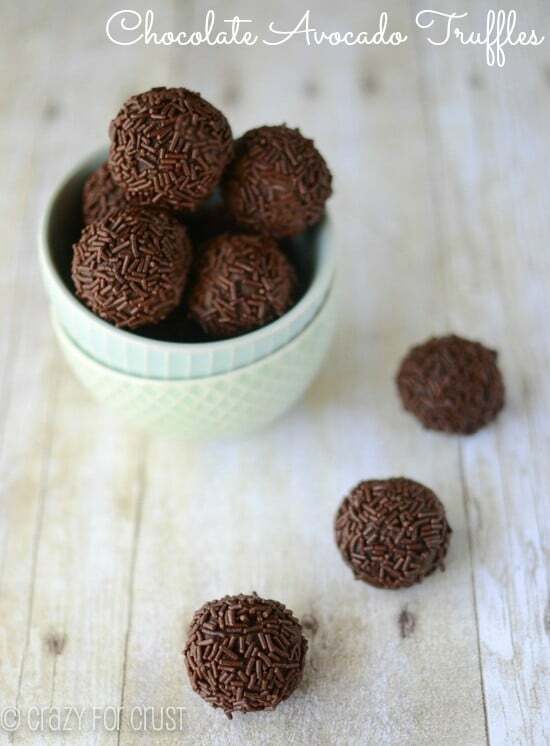 I brought it to a super bowl party and knew it was a hit when my daughter said it was too chocolatey for her! Everyone else absolutely loved it. I’m definitely going to keep this recipe for future use. It is easy to make and the compliments never stopped. Knowing my daughter, if she thinks something is too chocolate, I know it will be a hit for any chocoholic!! !